Export Development Board Chairperson and Chief Executive Officer Indira Malwatte officially launching the Lankan Rubber Global Consortium Pvt Ltd (LRGC) at the EDB office Colombo. The Sri Lanka Export Development Board (EDB) in collaboration with Asian Development Bank (ADB) and rubber sector stakeholders on Wednesday officially launched a Special Purpose Vehicle known as Lanka Rubber Global Consortium Pvt Ltd (LRGC). The motive of establishing SME clusters by way of formation of a (SPV) is to create local brands more competitive in the global arena as this would help to improve the country to drive towards a highly competitive export oriented economy. LRGC, which consists of five rubber sector companies namely, Jafferjee Brothers Exports (Pvt) Ltd, Polymer Products Impex (Pvt) Ltd, Sinwa Holdings (Ltd), Textrip (Pvt) Ltd and Microcells (Pvt) Ltd would also work collectively to improve export competitiveness of rubber products by jointly setting up of a finite element analysis center, joint venture manufacturing, building forward and backward linkages in the rubber value chain, joint product development and R & D facilities which result in improving the overall growth of the entire rubber value chain. 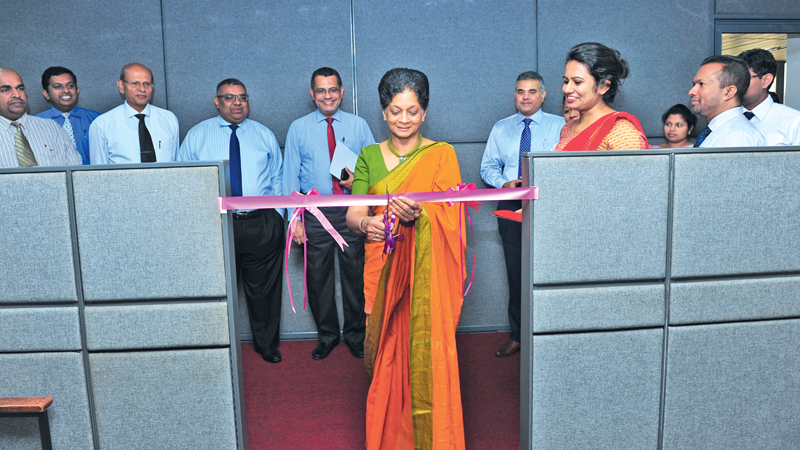 The Consortium’s office will be operation from the Exports Development Board building for an initial period of one year.Speaking at the inauguration of LRGC, EDB Chairperson Indira Malwatte described, the Special Purpose Vehicle as a widely adopted mechanism across the global context and expressed confidence that the LRGC would work towards initiating activities pertaining to the value chain development and supply chain management processes in polymer and allied industries with a view to remain competitive in global markets in a sustainable manner. EDB which is currently in the process of developing the National Exports Strategy targets US$ 13 billion export target this year, Malwatte said adding however, as per the regional data, Sri Lanka total exports are likely to reach US $ 15 billion. Sri Lanka has also set an export target of US $ 20 billion by 2020 and according to Malwatte Sri Lanka is well on its path to meet this target. Rubber Products Industry is a key sector contributing 6.9% to exports in 2016. The major markets are USA, Germany, Belgium, Italy, Canada, UK, and Brazil. Sri Lanka supplies to major international brands such as Continental, Solideal, Wonder Grip, Mapa, and Safety work, Tesco, etc. Companies in the rubber industry use state of the art technologies for manufacturing the above international brands.